Dr. James The Best Pediatric Dentist In Houston! 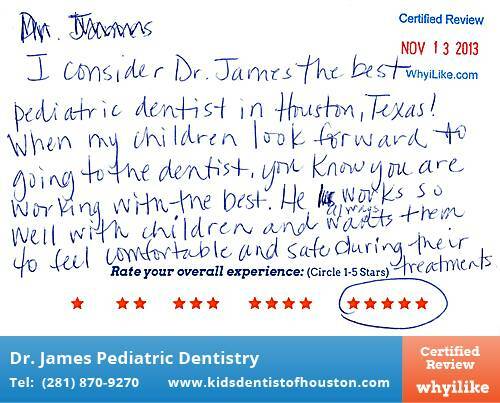 I consider Dr. James the best pediatric dentist in Houston, Texas! When my children look forward to going to the dentist, you know you are working with the best. He works so well with children and always wants them to feel comfortable and safe during their treatments.